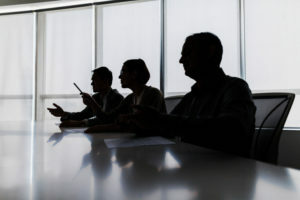 Corporate boards of directors have moved beyond their time-honored responsibilities of providing oversight and governance. Boards are now charged with helping management successfully navigate risks and capitalize on opportunities, often in an environment of rising stakeholder scrutiny. According to the most recent Top Priorities for Boards report by the EY Center for Board Matters, priorities such as understanding the impact of technology on strategy and business models, and overseeing culture and talent, will be top of mind. To meet the expanded scope of the board’s duties, the standard annual board strategy session is being augmented with more frequent interactions to chart the company’s course and identify opportunities to quickly change direction when warranted. As board members are tapped more often to provide insights into business strategy, organizations need to maximize their value. To make quality decisions, board members often rely on board books, which can run 200-plus pages. These books are packed with financial results but often lack sufficient analysis for members to assess underlying trends and make informed strategy recommendations. Objective nonfinancial data is also critical to the work of the board but that information is lacking in most board communication. According to The National Association of Corporate Directors 2017– 2018 NACD Public Company Governance Survey, industry and business-model disruption, changing global conditions, and cybersecurity threats topped the list of concerns for corporate directors. Yet, many board books either skim over those topics or ignore them completely. This eBook will examine ways to transform the traditional board book into a useful tactical tool for board members. Download now to learn more.